Find a hidden egg & receive a prize! 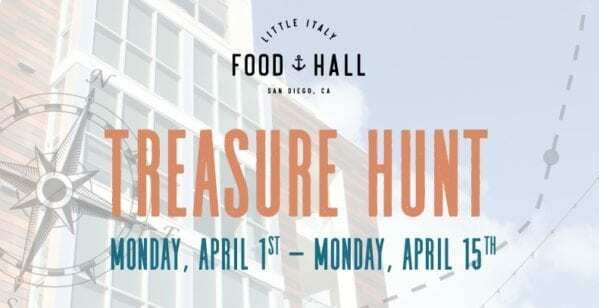 Each Monday from April 1-15, the Little Italy Food Hall will hide two eggs throughout the location and give you a clue to find it. Locate one egg and bring it to the nearest Food hall team member to exchange for some fun prizes! Keep an eye out for clues through our social media here. Remember, it could be inside or outside the Food Hall! *Limit one reward per guest. Reward is only valid the day it is awarded.